From cotton to dairy and oil to computers, countless innovative businesses have called Williamson County home. Discover the stories of the county’s rich and varied commercial past. 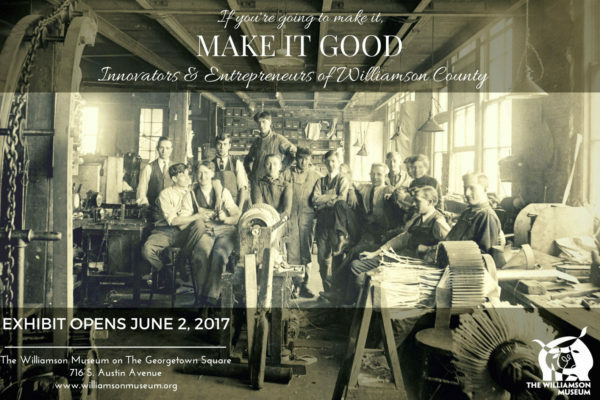 This exhibit focuses on the innovative minds in the county who have created award winning or unique materials that represent our entrepreneurial skills throughout the county and world. For example, the Gold Medal Award winning Round Rock Broom Company and Round Rock White Lime Company, local inventors such as Henry Purl Compton, and the future of business in the county in the form of Dell, RDC, and Airborn, Inc.